So, Just Why are we finalists in Private Dentistry Awards? It is with great excitement that we reveal to you that we are up for Finalists for The Private Dentistry Awards 2018! Gipsy Lane was chosen from practices all over the UK by a panel of expert Judges. The recognition reflects our continued success with Dentistry! Private Dentistry Awards has been organised an event to celebrate the expertise and dedication of dental practice all around the UK. There were nine categories in total and Gipsy Lane is up for 4 out of 9 categories, which is an amazing achievement. This award reassures you that our patients attend an excellent practice, in fact one of the best in the UK. We offer amazing Cerec technology – which means we can offer same day crowns and no need for traditional impression taking. Having a clear vision, passion, dedication and working hard together, having fun together, all makes a great team. Above all, putting patients first and investing in our education is why we come to work. Our clinical team work relentlessly to ensure outstanding results for every patient. We receive referrals for all aspects of general and Specialist Dentistry from a wide surrounding area and are very proud to help our dental colleagues look after their patients. Rest assure you attend a practice that truly cares about delivering high quality and ethical dental care. Going over and above to help our patients is all in a day’s work for us; whether it be a lift home in the rain or a birthday card in the post, we really do care about all our patients. The feedback from patients has been overwhelming. We receive a wonderful response from all of our patients – especially from those who provide us with the reviews, testimonials and quotes that help us to win these awards. 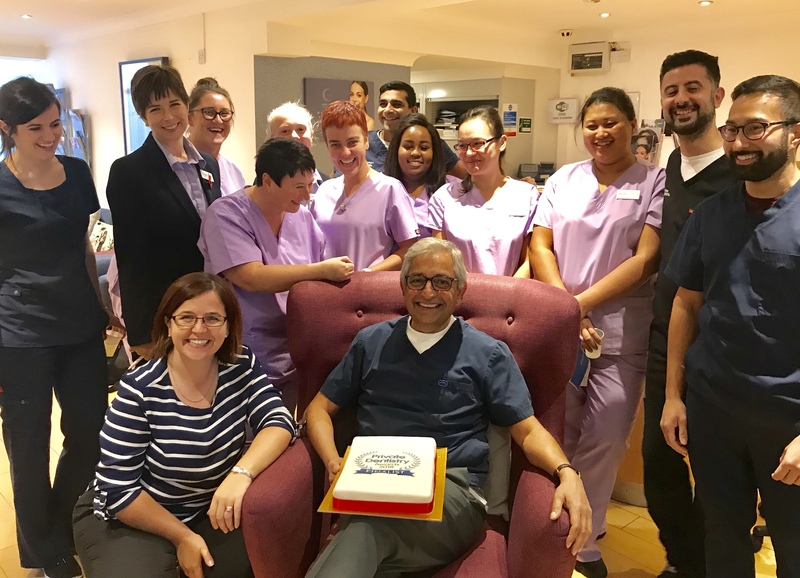 Our patients are always delighted to see that our hard work and dedication is rewarded and rightly so share a sense of pride with our team.